Runners Lane product pricing is very competitive. We provide the highest quality products that vendors offer for better performance. These shoes are not available at discount stores. The shoes available at discount stores may look similar, but the shoes have been stripped of important technological features in order to meet low price points. Runners Lane does not offer discount-quality shoes because they are not recommended for running or for serious fitness participants. 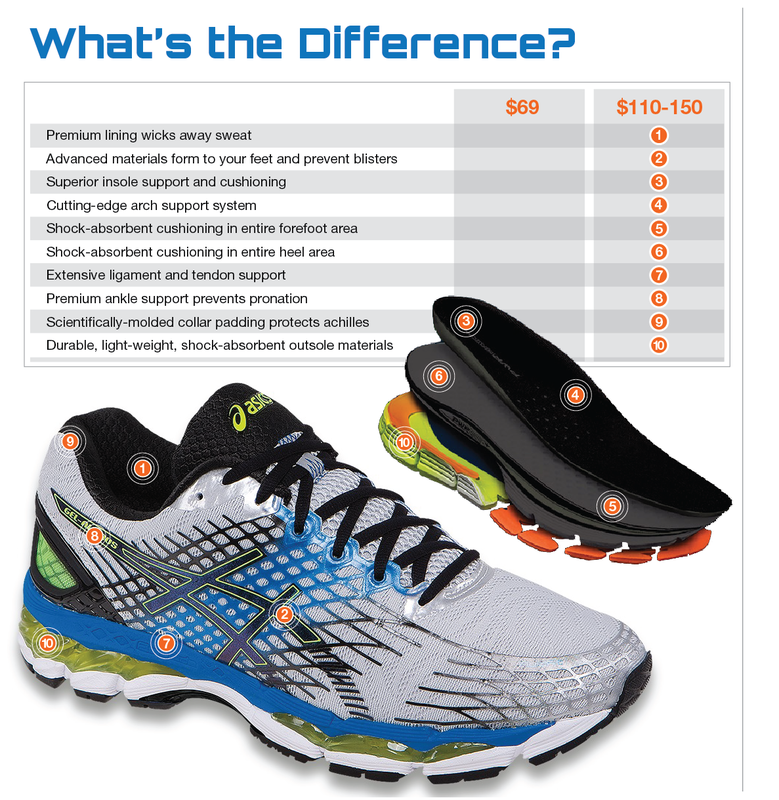 The chart to the left provides an example of the differences you can expect to find in high-quality athletic shoes. If you are not convinced that the price is worth it, we ask people to try on both and see for themselves. We want you to stay pain-free and on track with your running and fitness goals!